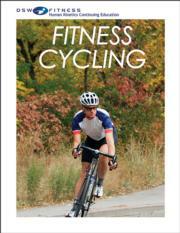 This course offers 56 cycling workouts to improve strength, speed, and stamina. With this systematic approach you can train your clients and athletes to ride more efficiently, climb stronger, sprint faster, achieve performance breakthroughs, and become well-rounded cyclists. The Fitness Cycling continuing education course provides you with a systematic approach to training your clients and athletes to ride more efficiently, climb stronger, sprint faster, achieve performance breakthroughs, and become well-rounded cyclists. You will learn to help your clients set short-, medium-, and long-term goals; assess their skills and training level; and use various methods to track their progress. You’ll design science-based workouts for each aspect of cycling: base training, climbing, flatland threshold training, time trialing, and stationary bike training. You’ll also learn riding techniques and how to select the appropriate bike and equipment, determine proper positioning, and refine the bike fit. The course is based on the book Fitness Cycling by Shannon Sovndal, MD, FACEP, and features 56 color-coded workouts based on intensity level so you can create targeted programs based on your clients' goals, current fitness level, and cycling experience. With professional insights on riding techniques, goal setting, training concepts, recovery, and preventing common cycling injuries, Fitness Cycling is the one training guide you’ll turn to again and again for a lifetime of cycling workouts. The course includes a study guide containing a syllabus and chapter learning activities to prepare you for the 65-question continuing education exam at the conclusion of the course. Develop short-, medium-, and long-term goals using the four Ps of goal setting and the author’s RACE strategy. Understand the training concepts of adaptation, progression, specificity, individualization, proper nutrition, and adequate hydration as they apply to cycling. Assess a client’s level of fitness using maximal performance assessments (VO2max, maximal heart rate, and maximal power) and the concepts of sustained performance (lactate threshold heart rate and lactate threshold power). Understand how to quantify training using frequency, duration, intensity, and volume to adjust training workloads and zones. Outline the components of a periodized training plan. Design and maintain a simple or advanced training diary. Explain the importance of base training and identify the strategies of base training workouts. Explain the importance of interval training and identify the strategies of interval training workouts. Identify the strategies of hill training workouts. Identify the strategies of time-trial workouts. Identify the strategies of sprint training workouts. Discuss the importance of indoor training and identify strategies for stationary bike workouts. Suggest appropriate off-season workouts or activities. Identify key factors in selecting a bike and appropriate cycling equipment. Outline bike positioning and riding techniques. Discuss the two primary types of cycling injuries: trauma and overuse.